20:00 – 20:30hrs: IBA Oz: forum discussions, general questions. 2020 Muster. A Parking lot will be utilised for items that need follow-up. 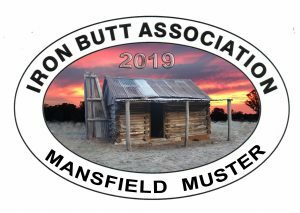 Only IBA members (must have IBA number) are eligible to participate in the Mansfield Vic Muster 2019. This year we are encouraging IBA Riders to mentor a non – IBA member to participate in the Mansfield Muster. 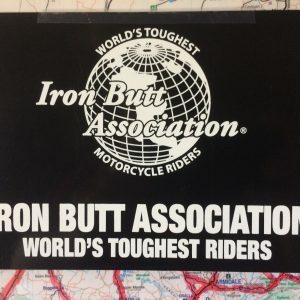 This will be restricted to the first 10 IBA members who apply to bring along a rider. A request to mentor a non-member (via email to contact@ibaaustralia ) needs to be completed on the same day that registrations opens. Riders and Pillions are to register through Ride Master . No other registration process will be accepted. Only riders and Pillions that complete this process will be able to participate. Registration and Certification fees – Rider $AU80 and Pillion $AU20. Any IBA ride may be attempted. The ride is to finish on the 6th April 2019 at Mansfield Vic. The ride must be pre-registered and pre-paid before commencing ride. 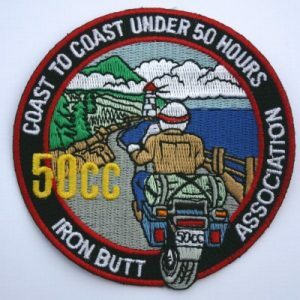 A ‘one off’ IBA Certificate and Patch will be presented on the night, to IBA members that successfully complete their IBA ride at Mansfield Vic on the date in 4. above. IBA certification rules apply to all rides. Upon arriving at the event function room, riders are to place their fuel receipts, witness forms (if not using Premier membership submission) and a legible Ride Log in an envelope (clearly marked with their name and IBA Number on the outside of the envelope) and give it to one of the IBA Australia staff members. Changes to your route once you have started your ride will require your new ride to be verified after the Mansfield Vic Muster 2019 completion. This will result in your certificate being posted out at a later date. Late Registrations may be accepted, however a processing fee of $50.00 will be required. Early cancellation, i.e., before Registration closing date, will incur a fee (PayPal costs). No refund will be given after the registration closing date, for non-attendance for any reason or unsuccessful completion of the ride. 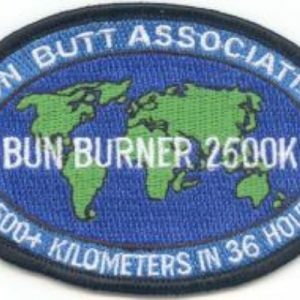 This is due to costs associated with pre-registering the IBA ride, printing, and production of patches for the Mansfield Vic Muster 2019. Send Ride Application directly to: IBAMuster@gmail.com (this is for the Ride Application only please do not use for questions). If the Ride Application is incomplete i.e., proposed routing is incomplete, or if payment is not included, or if other stuff gets messed up, the rider will be required to resubmit their application. Should this result in the application arriving late, then there is a chance that the rider will not get a certificate on the night. Your Ride Application, using the format provided below, is to include a google map url created on www.google.com.au/maps/ (not on some other url); or a map quest map url or bing map url. Ensure that these are not password protected, (some riders prepare maps on mygooglemaps, and these are difficult to open). Riders should also submit payment verification by attaching the paypal confirmation (not just the confirmation number, and not a message saying ‘please invoice me’). Your Ride Application must contain all the information as shown below or you may be requested to resubmit the application. 5. Are you an IBA member – number? 18. ANYTHING ELSE WE SHOULD KNOW ABOUT YOUR RIDE? I certify that the statements in this application for certification are true to the best of my knowledge and belief.